Initial predictions – what MS Office 2010 technologies can bring to PLM? At its Worldwide Partner Conference in New Orleans, Microsoft released a preview of Office 2010 and Visio 2010 to all attendees as part of a Technical Preview program. Microsoft SharePoint Server 2010 and Project 2010 are also in technical preview, but to a more limited number of participants, the company said. It wasn’t big surprise and preliminary information about coming MS Office products including MS Exchange 2010 and MS SharePoint 2010 already was available early. Nevertheless, current announcement put some more lights on coming technologies and specific product features. Some of them, in my view, can influence Product Lifecycle Management industry and some of the key players. Since, ability to discuss new-coming technologies becomes a good tradition on PLM Think Tank, I’d list of announced MS Office 2010 capabilities that can influence PLM products. 1 – Move to Browser. This is, in my view, the biggest news of Office 2010. Basically, MS moves toward browser-based apps will confirm Google’s strategy. But, at the same time, Microsoft Office adoption rate for PLM customers is much higher. Therefore, influence from Microsoft Office online apps can be much more significant in comparison to the future Google Apps for enterprise. Microsoft will be able to put very close versions of MS Office products such as Excel and Word. These applications today serve many of PLM customer’s need by allowing document authoring capabilities, Bill of Material collaboration and not only. By moving to browser and cloud, these apps will make them stronger option for product lifecycle foundation. 2 – Collaboration. This time Microsoft looks very serious about collaboration and ability of users to stay connected. Business users will be able to get deeper insight into their business processes, and easily find and access the information they need to be more productive. MS Exchange Server can be used as personal and collaborative mail and content archive. MS Exchange 2010 and MS SharePoint 2010 can be deployed on premise and as-service from MS and industry partners. 3 – Shared Access to Content. These collaborative features will be available unfortunately only in desktop versions for Excel and Word 2010. Even so, these are very powerful capabilities allows two users co-edit content simultaneously. MS Excel and Word will notify each user when changes will be made and need to be synced with their document. 4 – Improved Email conversation. Email in general and MS Outlook, specifically, are fundamental part of today’s collaboration and process automation. 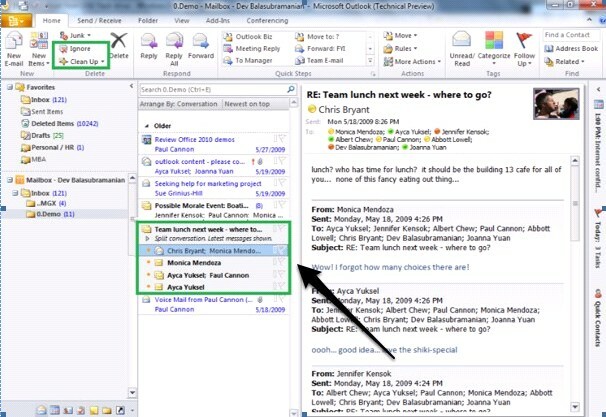 New Outlook 2010 will provide new features to track mail communication and conversation that present messages in the way of logical tree mixing incoming and sent mails together grouped for logical thread. 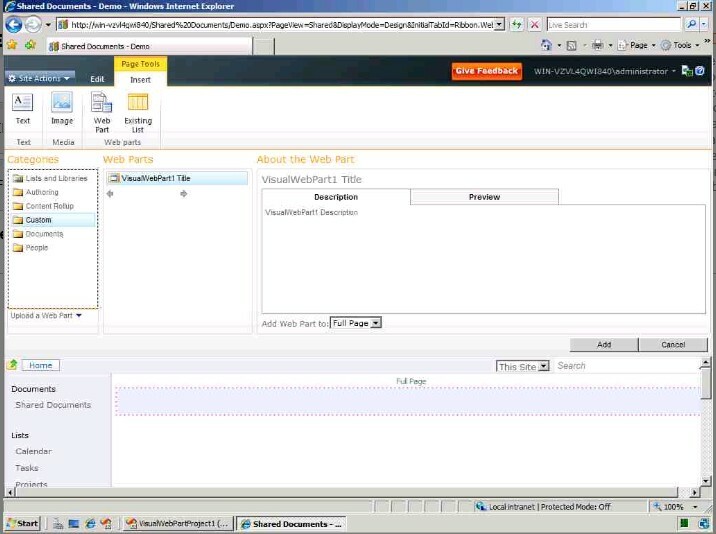 5 – SharePoint 2010. From user experience standpoint SharePoint 2010 will receive Ribbon User interface Microsoft introduced for MS Office 2007. MS SharePoint 2010 will continue to serve as backstage platform to enable collaborative business applications. Developers will receive support of MS Visual Studio and SharePoint Designer to build their own applications and solutions. Developers Dashboard and LINQ support will provide additional advanced support for people to develop data oriented solutions with MS SharePoint 2010. 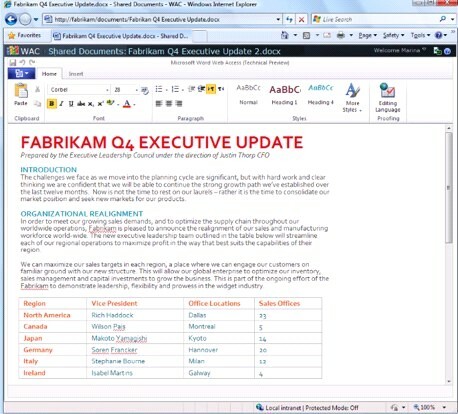 So, from the first look MS Office 2010 will extend Office capability and provide significant added value to business users. I think PLM vendors, solutions and service developers will need to consider how to adopt these capabilities in their proprietary PLM solutions roadmaps. In addition, Microsoft’s move toward browsers-based applications will increase customer adoption for cloud/SaaS based solutions in general. So, SaaS/cloud providers of PLM solutions will have an easier path to customer’s mind with their PLM SaaS/Cloud solutions. It’s very thoughful of MicroSoft to bring online office applications. This as per colloboration view point seems very promising. Google’s New OS/Buzz in Cloud computing/& Everyone is talking of collaboration. It will be interesting to see who PLM Vendors adopt to upcomings in these areas.